Hello Katie Girl: Pencil Prints Because Everyone Makes Mistakes! Pencil Prints Because Everyone Makes Mistakes! Because I'm a teacher, it's only natural that I would gravitate to prints with pencils! What's the only thing better than a cute pencil print? A print with colored pencils on it! Sometimes I think I made a mistake with my career and should've chosen to become an art teacher as opposed to an English teacher. I didn't really think about all of the hours I would spend with a red pen, correcting essays and writing assignments! Still, there are aspects of the job that I absolutely love. 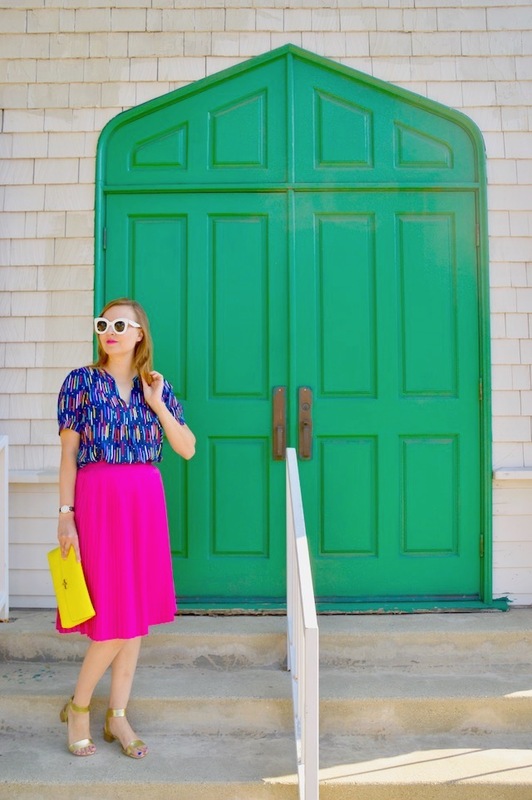 To go along with the theme of pencils, I'm featuring some of the pencil prints I truly adore for fall. The great thing about all of these items is that wearing them definitely would not be considered a mistake in my book! Speaking of mistakes, one mistake, albeit not one made by me, was this skirt. 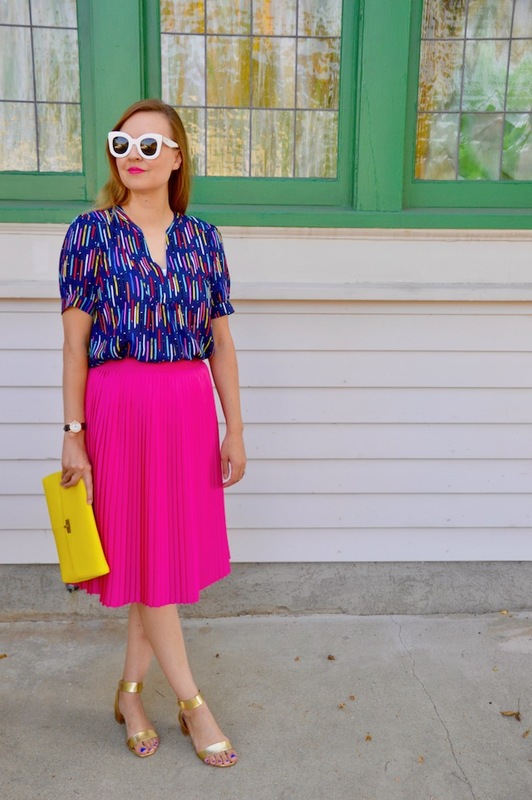 To make a long story short, I ordered this pleated skirt from Target a couple weeks ago. The only problem was that when I went to pick it up in store, it was the style but not the color I ordered! 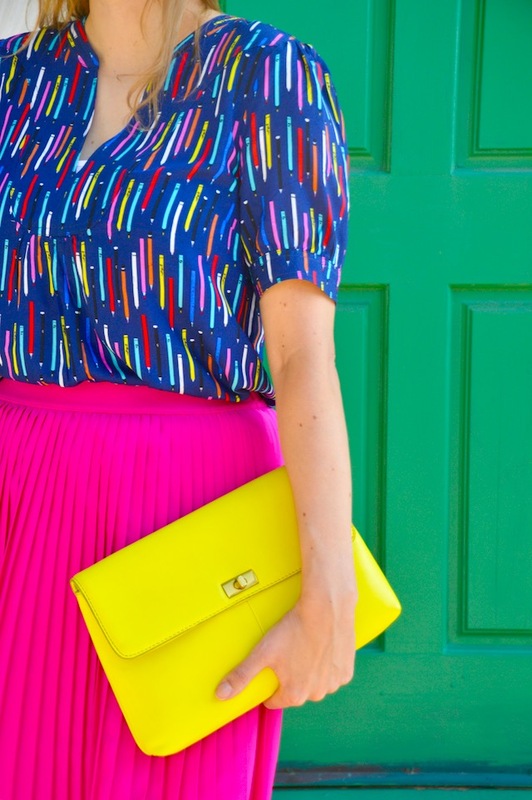 I had my heart set on getting the color block version of this skirt, only to find a bright pink one in my bag instead. You might think I would be angry or disappointed but I was actually happy because I realized I liked the pink one better! I guess sometimes mistakes can turn out for the best! Don't you just love a happy accident like that? Speaking of pencil prints, there is now a PENCIL MUSEUM on Staten Island! I keep bugging my friends to go and they're like, whhuuutttt??? Ha. I'll send you a picture if I ever get there. If YOU ever get there, you definitely need to wear this darling top! The pencil museum sounds amazing! I love quirky museums like that! These are the cutest prints, and perfect for you!